Geysers and weird colored sulfur pools are all over the place, so are the people. We didn’t think there would be so many people at this time of year. We think about what the crowds would be like in July. Lots of wildlife to see. ‘For sure’ that’s one reason Not to miss Yellowstone Park. 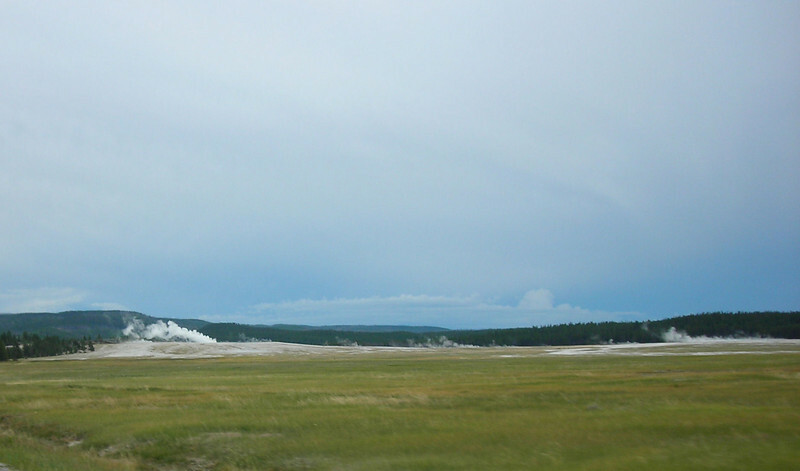 You have to personally experience the people frenzy sensation when wildlife is seen by the road in Yellowstone. It reminds me of a shark feeding frenzy or something. People are nuts. Sometimes there is nothing to see but rangers have to stop and direct traffic because of the hysteria. Cars are parking everywhere and anywhere. People are running with their cameras, binoculars and telescopes. People are pointing. Some claim they see antlers, most claim they see nothing.